Viva Venezuela: Fighting for Socialism is a documentary filmed during the last election of Hugo Chavez through his death in 2013. The film explores various aspects of the movement for socialism in Venezuela by interviewing activists, workers, and students in Venezuela as well as contrasting it with the struggle against austerity in the United Kingdom. The film does not only attempt to follow the campaign of the PSUV and Chavez but rather focused on the rank and file of the movement in Venezuela. Very little time is devoted to Chavez or the leadership of the PSUV at all and instead we get a refreshing picture of what is going on in Venezuela by seeing those who are implementing the policies of Bolivarian socialism and the effects it has on the communities in question. This is quite a contrast to most documentaries about Venezuela which focus on Chavez as a figure rather than the overall social process of the movement for socialism in Venezuela. 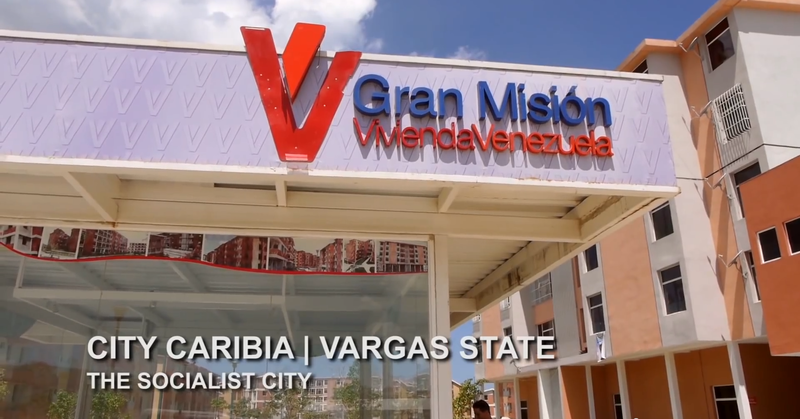 While the film is mostly comprised of interviews of activists and workers, it also contains a sequence that shows the progress and characteristics of Venezuela’s “socialist city” Caribia.This particular project was considered one of Chavez’s “last projects” but the film demonstrates that it wasn’t just some initiative from above, but rather poor and working people are who make it run and plan how they want the city to work. The British activists in the film make it clear that Venezuela is in a period of transitioning to socialism and is not there yet, pointing out that there are still rich capitalists there who want to stop this very transition. This is clear with continued battles between the government and opposition forces. The film itself is a showcase of the process of transformation in Venezuela and serves as a good introductory piece to those who are not as familiar with what is taking place there. It can be a valuable resource for activists and educators looking to study the situation. At the time of this post, the film can be viewed in its entirety online. With the death of Hugo Chavez on Tuesday, an important film to revisit is Oliver Stone’s South of the Border. 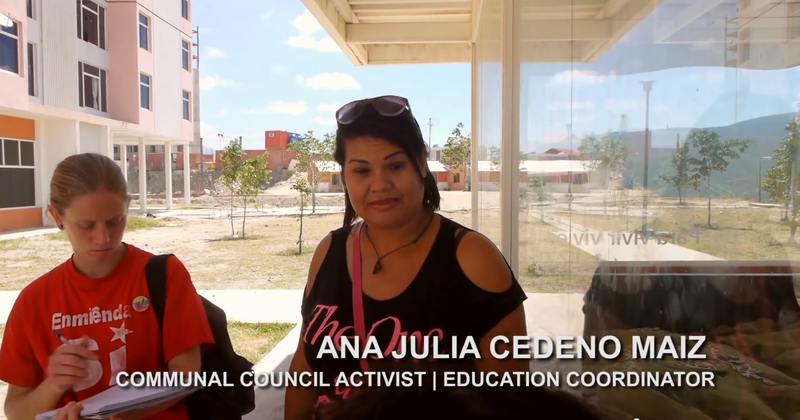 This documentary follows the rise of the Pink Tide in Latin America and the accomplishments that the various governments in question have made. I first saw this film during a screening at the 2010 United States Social Forum in Detroit. The crowd’s optimism about the developments (that are still ongoing) in Latin America was quite clear: from cheering on in various scenes, to hissing when Stone claimed that he believed there could be a “benign capitalism.” The screening was followed by a Q and A with Venezuelan and Cuban representatives to ALBA to continue the optimistic appraisal. Hugo Chavez plays a key role in this documentary, as well as in facilitating the rise of this so called Pink Tide. Almost all of the leaders that follow in a sense play as a footnote to his historic victory in the late 1990s. His Presidency is something they all (with the exception of Raul Castro of course) acknowledge an indebtedness to throughout the film. Towards the end of the film, there is a great hope expressed for the Barack Obama’s administration taking a new path. As we now see the administration in its 5th year, it has demonstrated no significant signs of change toward Latin America (The Honduran Coup being the prime example, along with continued support for the Venezuelan opposition) and has instead remained mostly consistent with previous administrations. This previous feeling of hope could be met with plenty of “I told you so” by the Left. But it fits in with the overall positive tone of the film which saw one of the primary messages as simply debunking US media conceptions of leaders like Hugo Chavez. Along with Chavez’s electoral victory, the film contextualizes the history of IMF imposed structural adjustment and mass movements in response that helped pave the way for left leaning parties to assume the helm of governing the various countries in question. Evo Morales, in discussing Tupac Katari’s quote about dying as one and returning as millions, proclaims at the end of the film that “now we are millions.” This is the underlying theme of the film: the populist movements of Latin America are something to be admired and praised, not demonized. The film is mostly successful in promoting this counter-narrative and on top of its positive political message is an achievement in documentary film making.